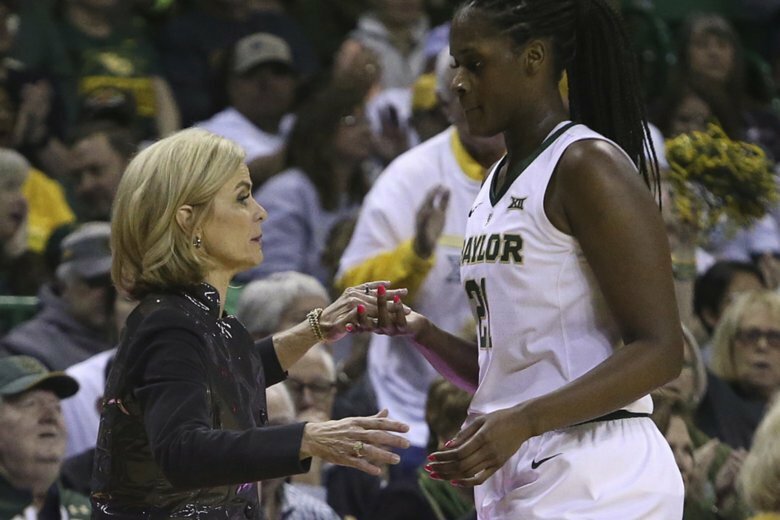 NEW YORK (AP) — Baylor remained the unanimous No. 1 choice in The Associated Press women’s basketball poll. The Lady Bears, who have been atop the rankings for six weeks, received all 28 first-place votes from a national media panel Monday. The Lady Bears have the longest winning streak in the country, 19 games, and close out the regular season Monday night at West Virginia. UConn, Louisville, Notre Dame and Mississippi State follow Baylor. All four teams are done with the regular season and start their conference tournaments later this week. Oregon, Stanford and Maryland remained Nos. 6, 7 and 8 as the first eight teams in the poll are unchanged. North Carolina State moved up a spot to ninth and Iowa two spots to 10th. MOVING MIDDLE: It was a rough week for teams in the middle of the poll. Iowa and Gonzaga were the only two schools ranked from ninth to 18th that didn’t lose a game this week. The Zags moved up two spots to 14th. Marquette made the biggest fall, dropping four places to 17th. AT STAKE: With the Power Five tournaments getting going this week, it will be the final chance for teams to convince the selection committee that they deserve a coveted top seed in the NCAA Tournament. The top four seed lines will host the opening two rounds of the tournament. The NCAA will reveal its current top 16 teams Monday night.